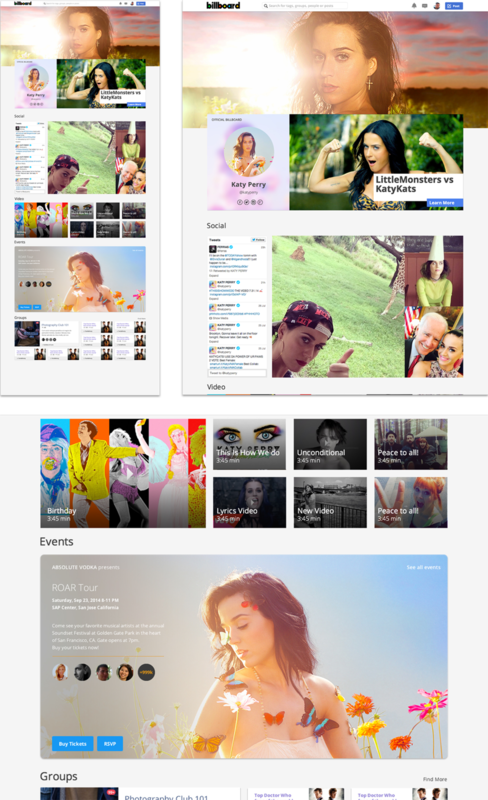 Backplane 2.0 meant a new look and a fresh new feel. When we decided to give Backplanes pages a new look, we wanted to make sure that the profile pages got a fresh new overhaul. We knew that with new clients, and with different ideas and personalities, we wanted the User and Client profiles to be able to reflect their personality to the fullest. As we worked and did our research, we came to the conclusion that while everyone is different, our profile pages should reflect that. Thus, Backplane 2.0 was put into play. Each community at Backplane needed a leader, someone that will be the face for the community. Whether that be someone like Katy Perry, Metallica, or Matt Kemp, it’s important for communities to have someone that is easily recognizable and larger than life.